Velvet Generation is now live on Kickstarter. Check it out and pledge today! A century ago, radio transmissions from Earth passed through a strange ripple in space, and Rock & Roll fell upon the mystified ears of an alien world. Music was previously unknown to them, and the new feelings it produced heralded the dawn of a new age of ecstasy; during the five years of transmissions, their entire civilization began to revolve around the power of Rock. Many of them, enamored by the blissful human culture they'd seen, eventually decided to undertake a great pilgrimage. But when they arrived on Earth, it was difficult for them to imagine how such a dreary planet could be the origin of those distant, beautiful sounds. Our world has become a cold, unhappy place. The Ministries of Culture have assumed control of the world's art and music, permitting only works which fit their own agendas. The past has been rewritten, and current events often aren't written at all. The minds of the people have become property of the Man, and Rock & Roll is a thing of the past. 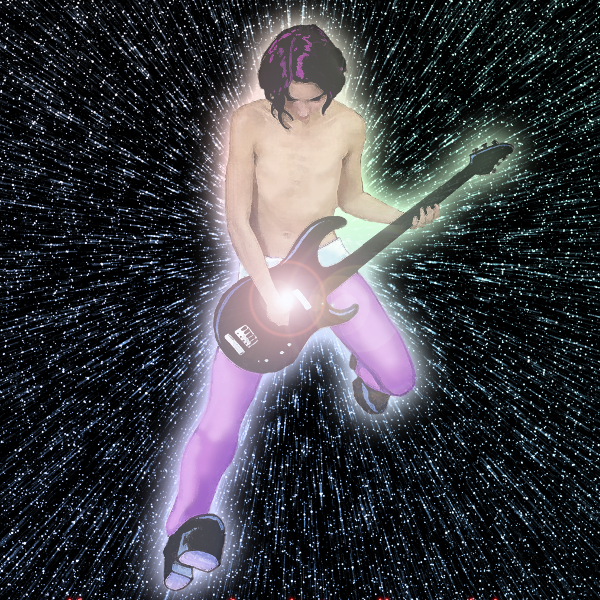 Starchildren: Velvet Generation is a role-playing game of rebellion, intrigue, and Rock & Roll in the world of the late 21st century. Players can assume the roles of band members (both human and alien), fans, revolutionaries, and even police officers, as they struggle to change the future. Whether taking on a deal-breaking music lord, a villianous rival band, or the Ministry itself, the world needs saving! Friends are all around, but only if you know where to look; underground music dealers, airwave pirates, and the ever-increasing army of fans are all aids to the Velvet cause. Enemies, on the other hand, are much easier to find- unscrupulous managers, fringe scientists, the Ministry’s deadly enforcers, and even the aliens’ own destructive cravings are all (often deadly) threats.